Hello friends! I'm back as promised with another Polish Pick Up shade for February. This is Colores de Carol Nerd Alert and as you can see, Carolina was inspired by rainbow nerds. As yes, I have been eating the nerds in the photo. I'm not much of a candy person, but I couldn't resist! Hey indie polish lovers! Are you on board the Polish Pick Up train? If not, you are really missing out! It's my favorite thing to have happened to the indie polish world since its inception within the last six month. It's a great place to try out new-to-you brands, and favorite brands alike. The only problem is that the website (which is now hosting dozens of brands) is only open for four days each months. So you have to be on your game to snag these exclusive polishes. 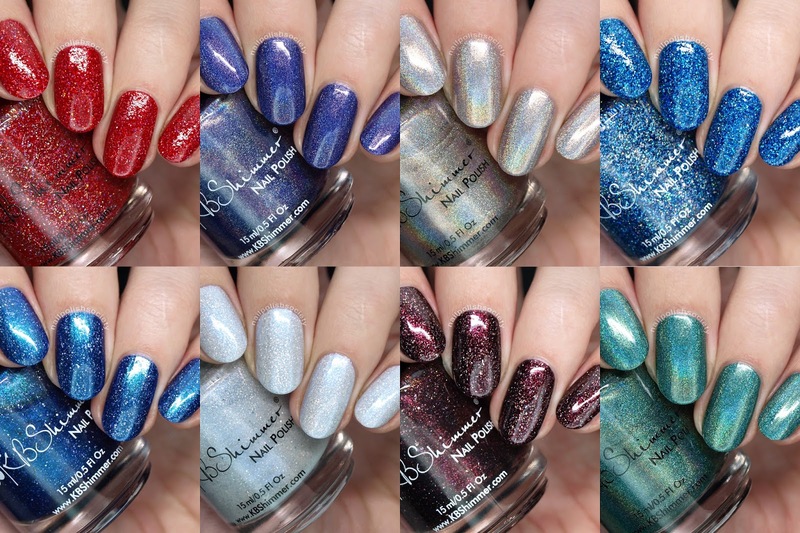 I am thrilled that for the first time KBShimmer will be joining the line up! February's theme (there's always a theme for PPU) is "Sugar Rush" and Christy was inspired by rock candy. Let's look at the swatches..
Hello ladies! How is your week treating you so far? The sun is out today so I'm feeling pretty good about life. I'm also feeling pretty good about this duo I have to share with you from one of my favorite brands! 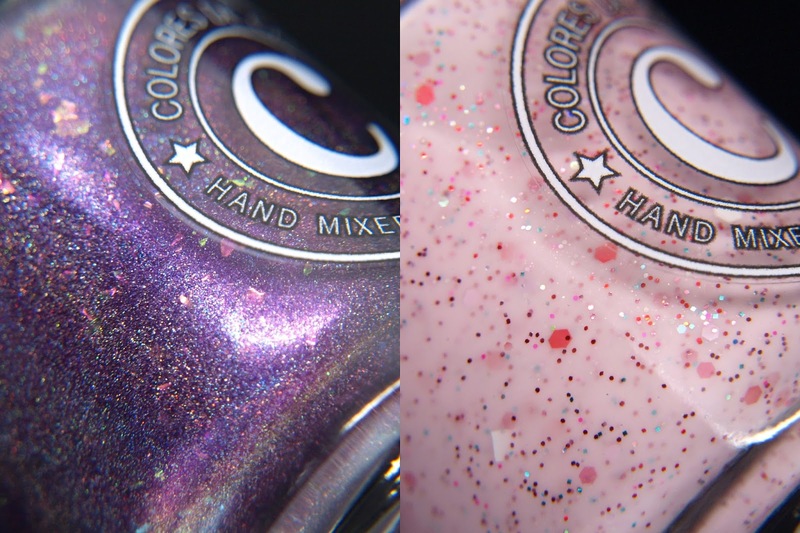 The Colores de Carol Valentine's Day Duo consists of one glitter crelly and one linear holographic flake polish. Both have great formulas and look pretty fantastic. Let's take a look.. I've got nail art today!! It's been so long and I've missed it. Did you miss it too? 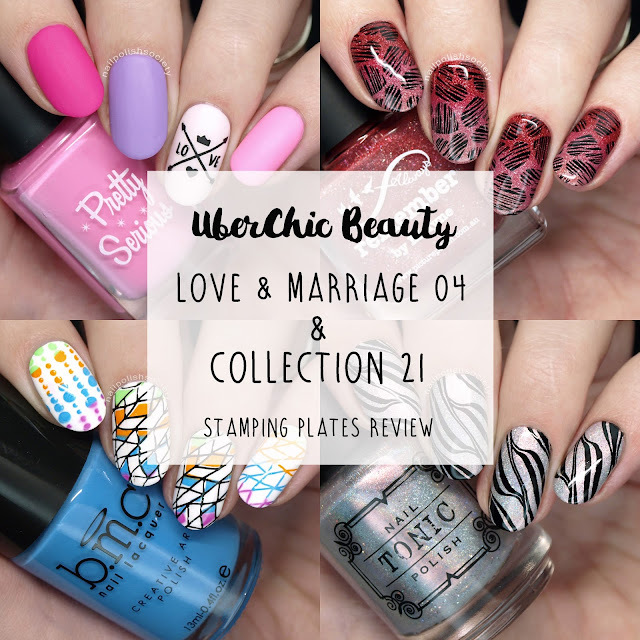 I reviewed the UberChic Beauty Love & Marriage 04 and Collection 21 stamping plates. There were so many great images on all of them I had a difficult time choosing! I hope you like what I've come up with. Let's take a look..
Hello friends! I've got a big post for you today! I have 16 new shades from the Sally Hansen Insta-Dri line. Not only are there new shades but the bottles have been revamped so the lids match each polish. 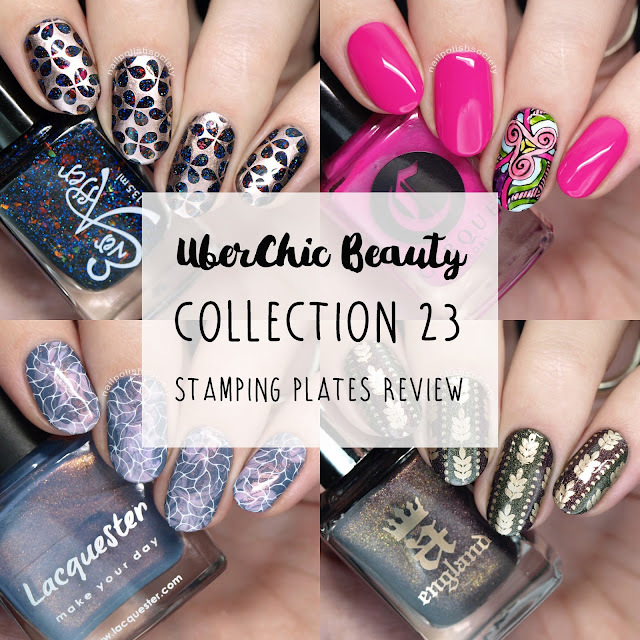 I have been a fan of the Insta-Dri line for a long time because I use many of the shades for stamping. There are a few here that are essentially one coaters and will work great for those purposes. If you've never used these before you may be thrown by the large size of the brush. It used to bother be but luckily I have large nails and I've come quite accustom to them now. Let's take a look..
Hello ladies! Here's another collection I swatched weeks ago that has been patiently sitting in my draft folder. 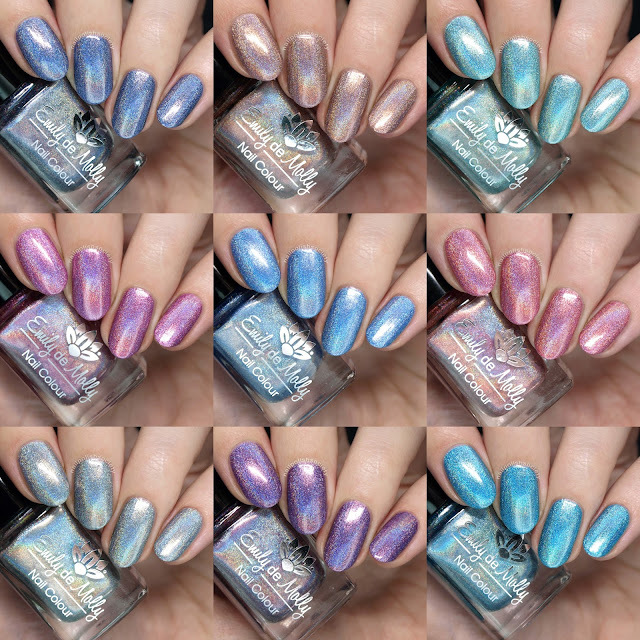 The Emily de Molly Super Holo collection consists of nine pure, unadulterated linear holographic shades. If holo is your thing then you can't miss out on these! The formulas are all flawless so you can't go wrong. Let's take a look..
Hello my long lost friends!! It's been a couple of months but my hiatus is finally over. I'm ready to jump back in the saddle and share lots of gorgeous creations with you all. Let's start with this amazing collection that I swatched weeks and weeks ago. The KBShimmer Holo-Day Collection 2017 is an eight piece collection that consists of wintery sparkling holographic shades in different finishes. They are all beautiful with great formulas and there are a couple that really stand out to me. Let's take a look..